It's getting colder and colder every day but the air in the closed spaces is getting more dry. Doctors and esthetician say: it's time to humidify the air. Humidifying helps you breathe easier and sleep better, your hair stays pretty and healthy and your skin doesn't remind people of Groot from Guardians of the Galaxy. It's true that it's not easy to find a good gadget: the small ones don't really change anything and the ones that are good are usually huge. There is a rare case where a practical idea is mixed with nice design. It's called Objecto H3 and you can find it on Amazon for about 100 bucks. This model is compact (only 11 inches tall) but powerful. If you can trust the company they say it's powerful enough to humidify a place bigger than 1000 ft2. The humidifier can handle up to 0.5 gallons of water and can work in automatic mode for 18 hours. It has a timer that can turn it off every 2-3 hours. The design reminds me of an aroma lamp. 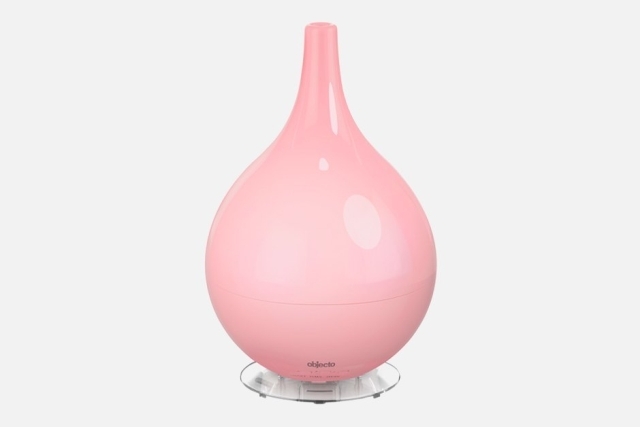 This is not a coincidence because the Objecto H3 humidifier has a special place for aromatic compounds. A truly useful thing for your home.